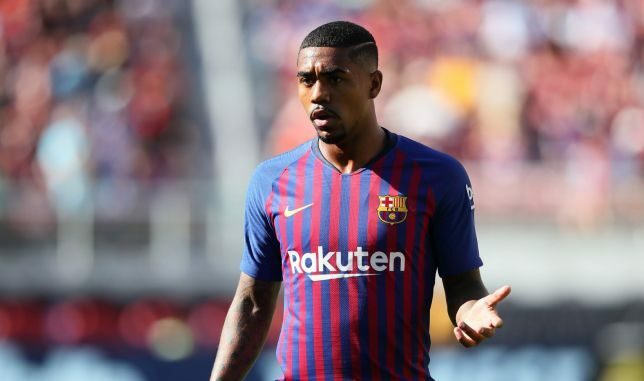 Tottenham Hotspur and Arsenal were both interested in landing Barcelona winger Malcom last month but the La Liga side’s loan fee demands were too high, according to the Sun. Malcom has been strongly linked with Spurs in each of the last two January transfer markets. Last year, the Londoners appeared to be close to agreeing on a deal to sign Malcom permanently from Ligue 1 side Bordeaux but ended up tempting Lucas Moura from Paris Saint-Germain instead. A few months later, Brazilian star joined Barcelona. But the South American forward has made just one La Liga start this campaign and was said to be keen on an exit last month. Be the first to comment on "REVEALED: Arsenal tried to lure £90,000-a-week misfit to Emirates"